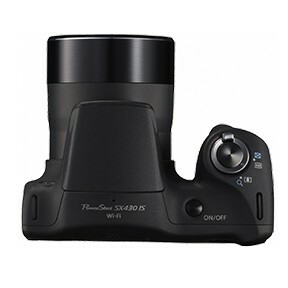 The PowerShot SX430 IS is packed with features to capture your best images ever. The 24mm Wide-Angle lens with huge 45x optical zoom gives you amazing versatility to capture wide landscapes on your travels and zoom in for impressive close-ups of the kids on the soccer field. Capture your kids at play, home and away with the powerful 45x Optical Zoom with comfortable ergonomic grip that's easy to carry on-the-go. Never miss the moment thanks to the Intelligent IS, which automatically analyses movement and applies the best image stabilisation method.